Here are the best places to get your fill of sun, sand, and sparkling seas! Are you desperate for a perfect beach vacation this summer? Preferably somewhere that’s not too expensive and not too far from Canada? 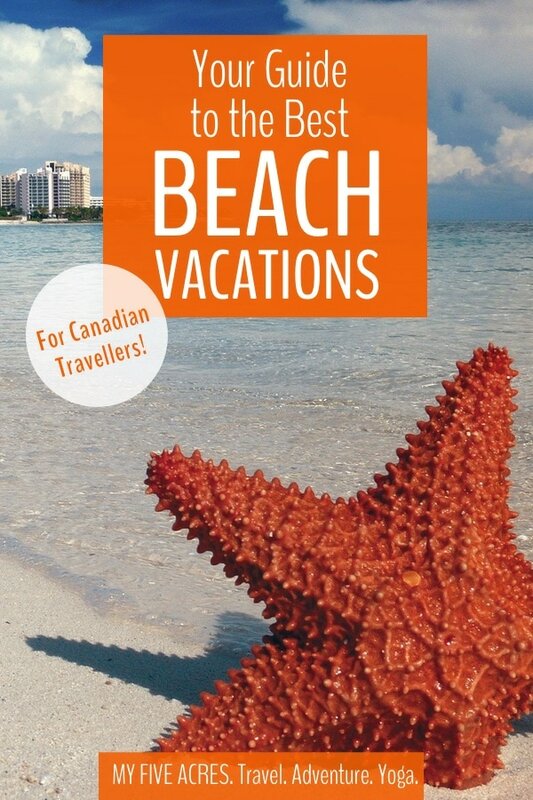 Here are our top 7 beach destinations for Canadian travellers who can’t get enough of sun, sand, and sparkling seas! Now that Canadians are finally starting to thaw out from the long, hard winter behind us, it’s time to plan your summer getaway! Whether you want a romantic break, a family vacation, or an active holiday, we’ve got your perfect beach destination all picked out. 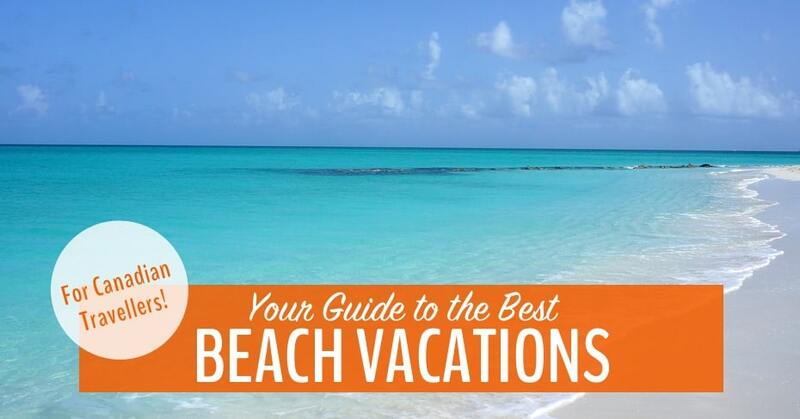 What’s in our Guide to Beach Vacations? If you want an active beach vacation, Montego Bay will deliver. A popular resort and cruise ship port on Jamaica’s north coast, Montego Bay isn’t exactly off the beaten track. But it is wildly popular for a reason: namely, the perfect turquoise waters rolling onto miles of pristine white sand beaches. Montego Bay is great for active travellers, who can add horseback riding, rafting, hiking, and cliff diving to their days of lying on the beach. For a fun family vacation, check out Nassau’s attractions. Just a 3-hour flight from Toronto, Nassau in the Bahamas is the perfect beach vacation for Canadians who have little time or little kids. There are lots of family beach activities in Nassau, too, from swimming with pigs in Big Major Cay to snorkelling the Lost Blue Hole. While in Nassau, please DO NOT swim with dolphins. 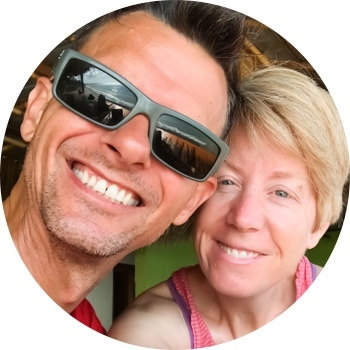 Read this post by Justin + Lauren to find out why. For travellers on a budget, Cuba is the perfect beach destination. At least for now, Cuba is still a budget-friendly destination and for beach-lovers, Varadero is the definite highlight. Some even say this is the best beach in the world. If you can pull yourself away from the sandy shores, you’ll have plenty of art, history, and vibrant Cuban culture to explore. The incredible food is just the icing on the cake! For our yoga friends, Tulum is a great beach destination. If you want a beach vacation that will leave you feeling truly vibrant, healthy, and restored, Tulum in Mexico’s Mayan Riviera is perfect. The laid-back bohemian vibes are accompanied by some of the world’s best vegan and organic food, plenty of fresh juices, and a booming yoga scene. 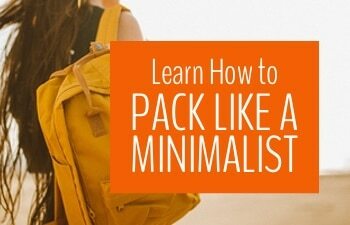 If you’re not a yogi, no problem: you can also snorkel, sunbathe, and shop! While in Tulum, you MUST go snorkelling. Explore the world’s 2nd biggest barrier reef system and experience one of Mexico’s famous cenotes. For hikers and surfers, Kauai is an ideal beach destination. To avoid the crowds on Kauai, skip Poipu and head to the north coast of the island, where you’ll find the perfect crescent beach at Hanalei Bay. The often-gentle waves are the perfect place to take your first surfing lesson or play in the ocean. If you want an adventure, pack your tent and hike to the famous Kalalau Beach. Warning: you may never want to leave! For a look at the stars, a beach vacation to Los Angeles is perfect. If you want to combine your lazy beach days with glittering nights rubbing shoulders with the stars, then Los Angeles is your perfect beach destination. Our recommendation for beach lovers? After you’ve explore Santa Monica Beach, head north to Point Dume, just outside Malibu. It’s a private paradise where you’ll almost certainly see dolphins playing in the surf. As far as star-spotting goes, Stephen has run into the likes of Martin Sheen and Matthew McConaughey in the area – so keep your eyes peeled! To get the best experience on Santa Monica Beach and Venice Beach, you need cycle the bike path that runs along the beach. If romance is what you need, take a beach vacation in Turks & Caicos. On the tiny islands of Turks & Caicos, couples can find the remote and romantic beaches of their dreams. The Grace Bay beach is famous for its 20 km of uninterrupted beauty, while the Turks & Caicos archipelago, made up of 40 islands, provides plenty of world-class dive spots. You can also charter a boat to one of the many uninhabited islands, get a couples spa treatment, or watch the perfect sunset while sipping cocktails on the beach. Doesn’t sound terrible, does it? Did this post help you find your perfect beach vacation? Where are you planning to go? Do you have questions about these amazing beach destinations? Let us know in the comments below! Pin for your ultimate beach vacation!